Just Kidding from Linen House is a fun colourful bedding range that young children will love. This single bed set includes the duvet cover and one pillowcase. 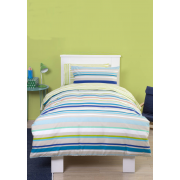 The horizontal striped design features white, green, blue, aqua, cream and orange coloured stripes. 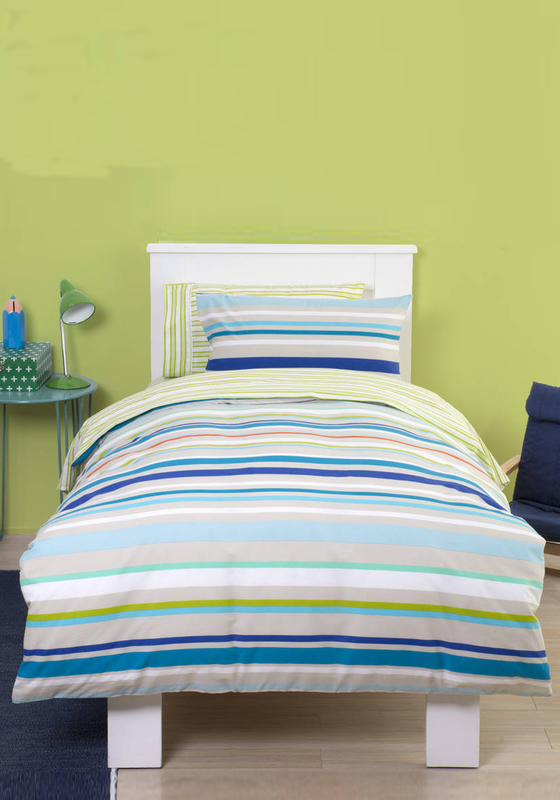 The reverse of the Just Kidding duvet also has a horizontal striped design in white and lime green colours.